Many people familiar with Astro analysis techniques have seen the correlation between the 20 year Jupiter-Saturn cycle and the business cycles of similar length. What may not be as well know is the fact that the Jupiter-Saturn cycle is not so very different to a lunar cycle of 18.6 years, and it is a valuable exercise to look at this and other lunar cycles together. The fascinating rhythms of the Moon go some way towards explaining the bumps along the road – particularly the rhythm of perigee and apogee, those times when the Moon is closest and furthest away from us. The difference in distance can be over 50,000 kilometres (31,000 miles). When the Moon is at either extreme there is significant effect on weather systems, often leading to natural disaster. This year’s earthquake and subsequent tsunami off the coast of Japan (with resulting man-made nuclear disaster) certainly coincided with Uranus-Aries geocentric ingress on March 11th. This event also took place within days of a perigee Full Moon close to the Equinox. As we know, stock markets began a reverberation which was at its most resonant within days of the next perigee on April 17th. Perigee and Apogee positions can be calculated each month and do not need to coincide with either New or Full Moon. However, when they do, the combined force has extraordinary impact. Should these positions occur within the same lunation cycle (i.e. between New and the next Full, or Full and the next New) moon, market action tends toward the dramatic. In 2010, there were five occasions (if we allow an orb of about two days) when perigee or apogee coincided with New or Full Moon. There was only one lunation cycle however when the Moon was Perigee and Full and then Apogee and New. The S&P index had reached a high around the Apogee New Moon on Jan 17th. It then fell into the Perigee Full Moon on Jan 30th. The Moon was also apogee in 2010 on Feb 13th, Aug 25th and Sept 21st but on each of these occasions was unaccompanied by a perigee Full Moon. September 21st is close to an Equinox (the actual date varies from year to year). An Equinox, when the Sun reaches 0 declination, is always a powerful and energised time. When perigee or apogee coincide with this, high levels of activity should be anticipated. The S&P closed at around 1140 on Sept 21st. It is likely that this level is held in the “cosmic memory bank” and that a return to this figure will yet occur. As noted above, the most recent perigee took place on March 19th 2011. This too was a Full Moon and fell close to the March equinox. The S&P index at this time was around 1280. Extreme apogee for 2011 was then reached on April 2nd; this reinforced the perigee top that coincided with the February Full Moon perigee. 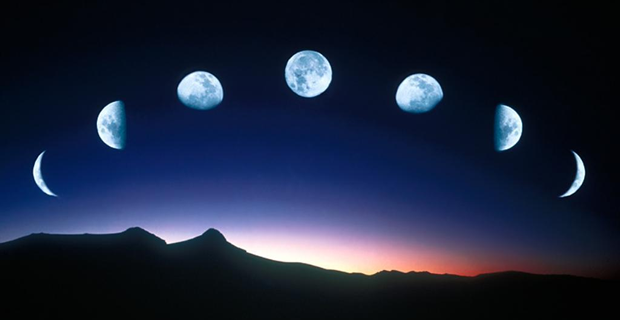 There are three perigee-apogee combinations still to occur in 2011. On October 12th one of the more extreme apogees of the year is within 9 hours of a Full Moon. This is followed on October 26th by a very close perigee within 7 hours of a Full Moon and two weeks later, on November 8th by a related apogee-Full Moon combination. During this same four week period the Moon will reach maximum declination and, simultaneously 0 latitude on October 16th and 29th. This extraordinary combination of lunar rhythms straddling the Sun’s Scorpio ingress could bring strong weather systems or even exaggerated Earth movement in the form of volcanic activity or earthquake. It might also bring a change of pulse to global markets. October and November have not always been good months for global markets. Once we factor in the present phase of the Jupiter-Saturn cycle it may be that there is considerable negative reaction. It is worth noting that a heliocentric conjunction of Mercury and Venus takes place on October 16th – and in an early degree of tropical Sagittarius. It is not unusual for Gold to increase in value as either planet makes its heliocentric journey through this sign. It is not unusual for the Gold price to rise as indices fall! Looking ahead further to May 2012, an extraordinarily close perigee Full Moon takes place on 6th of that month. This Full Moon is accompanied by two New Moon apogees on Apr 22nd and May 19th with Venus stationing (16th) before turning retrograde and prior to Venus’ last transit of the Sun for over a century. This extraordinary combination of cosmic events may well coincide with extreme activity in the market place, possibly marking another low.